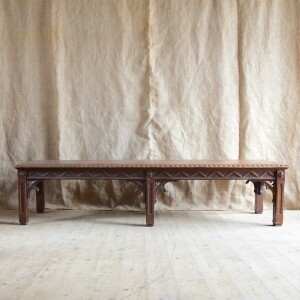 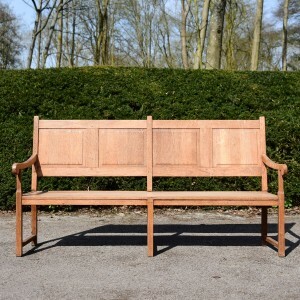 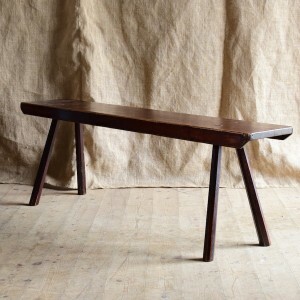 Very good-looking, large and wide, well carved 19thC oak bench in the Gothic style. 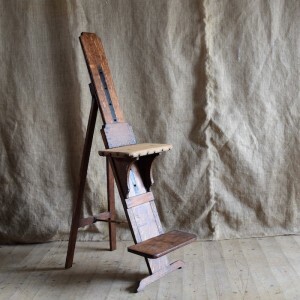 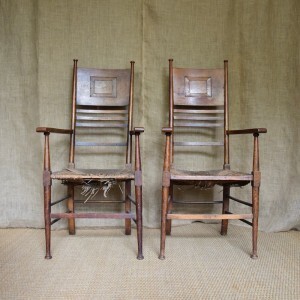 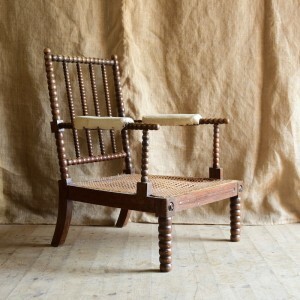 A pair of oak Arts and Crafts armchairs c.1890 with rush seats. 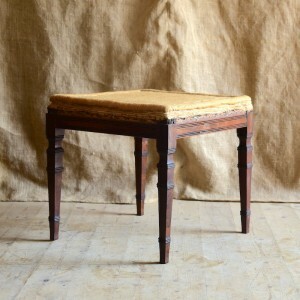 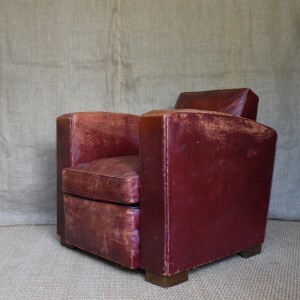 Good sized Victorian ottoman on mahogany bun feet. 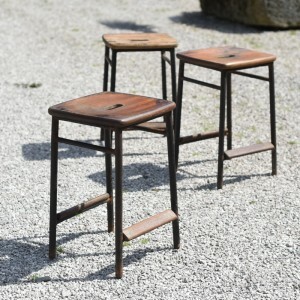 A very handsome and practical set of three 1960's Children's stools with mahogany seats and footrests. 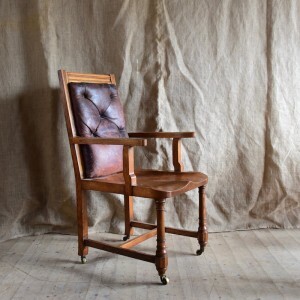 A very grand, oversized, gothic style, late 19thC French Armchair...! 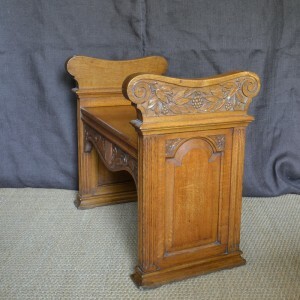 An interesting late 19thC oak neo- classical oak hall seat with detailed carving to either side and a shield on both front and back.